Silviya Hasana – Interactive Media Design Lab. 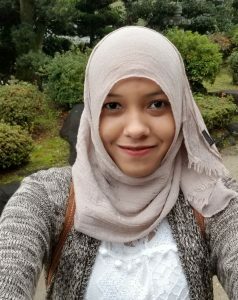 Silviya received her vocational degree from Sebelas Maret University in 2013 and bachelor’s degree from Sahid University of Indonesia in 2016. She was previously working as a system and web developer in a medical clinic in her hometown; Solo. In 2017, she enrolled as a master’s degree student and became a member of Interactive Media Design Laboratory. Additionally, she is also a MEXT scholarship student.